More comfortable more precious also 3D !!! More comfortable for your eyes and now 3D !!! QianLi stencils for the iPhone wear the Smoking suit !! More comfortable for your eyes and now also 3D !!! Stepped groove design enables stencil to align with tinning position of ic rapidly. Baseband, A6/A7/A8/A9/A10 BGA CHIP nick Paint Repairing net. 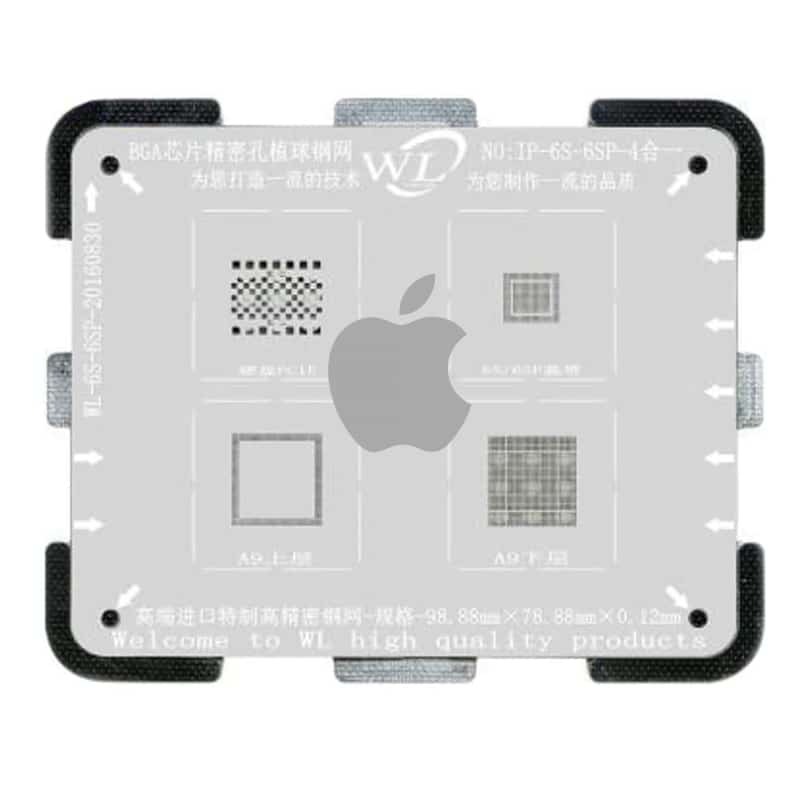 BGA Reballing Stencil Template for iPhone 6, can be heat directly.